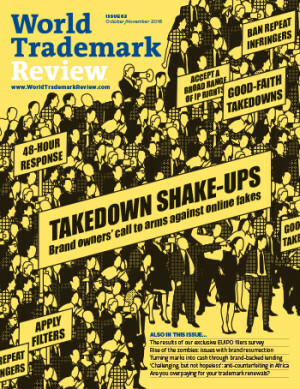 Are you overpaying for trademark renewals? Is unofficial advertising around sports events playing by the rules? Where next for EU trademarks? The impact of Brexit on trademarks is still unclear. Might brand owners be better served by a European system which maintains the principal features of the current system, but applies them to smaller groupings of territories? The first Turkish regulation allowing comparative advertising is due to come into force by the end of 2016. But what will it mean for rights holders?